CIOs, and increasingly CMOs and CEOs, may be responsible for the technology within their group but what about their personal preferences? 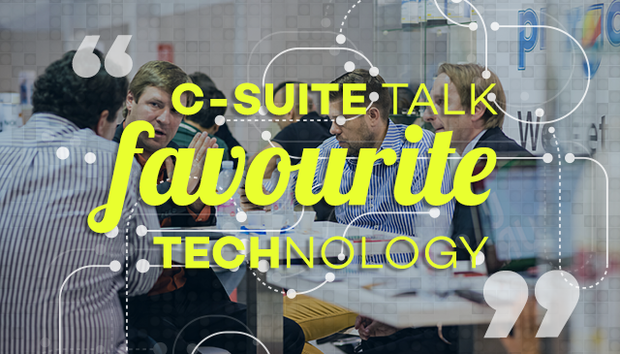 We profile the global c-suite to learn more about their ‘fav tech. Years’ of experience: I’ve worked in IT since 1989 where I started at BAe in Warton working in flight simulation and wind tunnels. 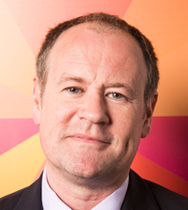 Now, I lead our R&D team at Advanced with over 500 people in the UK and India working across geographies to deliver software that makes the complex simple, and makes a difference to every facet of our business and society. As part of my role, I travel extensively between India and the UK, with technology forming a significant part of my life, enabling me to remain connected with the people, colleagues and family I need to. In this digitally-driven era, there are so many fantastic gadgets it’s almost impossible to pick out a single favourite as it depends very much on the context. In my shortlist, there has to be the ubiquitous iPhone and Android devices and the many and varied things they integrate with in the home – from lights and heating to CCTV and irrigation. Given the level of travelling I do to and from India, my noise cancelling earphones have proven to be a godsend, enabling me to get sleep and concentrate on work when I’m on the move. Not forgetting my coffee machine and Amazon Prime! Do you have a favourite piece of personal software? I see gadgets and software almost interchangeable as gadgets simply don’t work without it. Again, software is contextual, for example, I like Strava and Garmin Connect for cycling. My Acorn Atom followed by ZX Spectrum, although they were both quickly eclipsed when I was introduced to Silicon Graphics machines in BAe. These allowed me to perform Flight Simulations and test them in a Tornado cockpit on three air jacks … much more fun! Given how often I travel between India and the UK, my laptop and Skype for Business are critical as these enable me to work productively from almost anywhere in the world, as long as I’ve got connectivity – it doesn’t really matter whether I’m in Bangalore, Baroda or Birmingham. Again, Skype for Business really increases my productivity levels as I’m able to simply drop a note to someone, share information or do an impromptu video conference, wherever I am in the world. Definitely Philips ProntoEdit which allows you to create interfaces for Smart Home. I think the Raspberry Pi is a great device that not enough people use. We need more innovate makers to inspire future generations so people don’t just use technology but are inspired to create it. I use Raspberry Pi in my solar power invertor for optimising micro-inverters, it’s used as the hub for my irrigation control and it runs the monitoring of my central heating system. It’s all software and a lot of it is Open Source so my advice is – don’t be afraid – give it a go! I doubt it as I think they already consider some of my actions crazy! That said, I suspect some may be surprised that I still have RS232 integration for some parts of my home automation. Oh, and my keyboards from my life before ‘real work’, when I was striving to be a rock star!